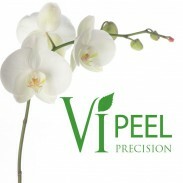 The Vi Peel is guaranteed to be finest peel you have ever experienced. The unique blend of ingredients produces powerful results with no pain, no skin preparation, and very little downtime. 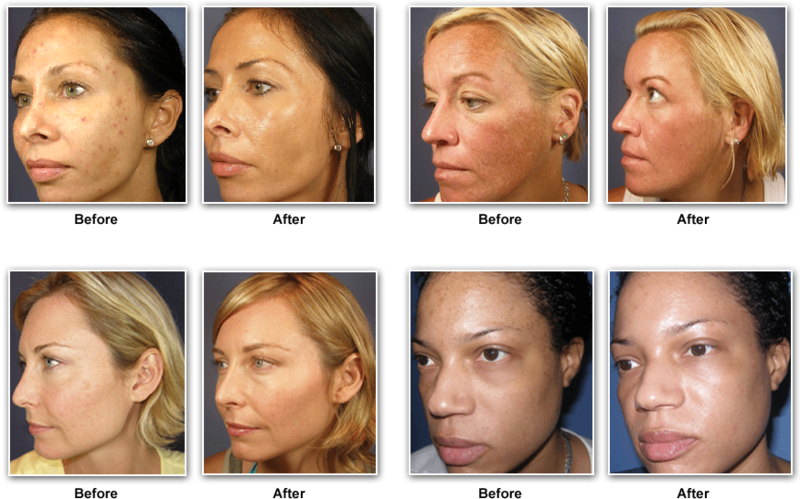 Painful peels of the past epitomize the out-of-date “no pain, no gain” approach to skin care. Before the Vi Precision Peel, the deeper the peel, the more painful it was, the more downtime you experienced, but the results were better. The Vi Precision Peel is the first Next Generation Aesthetic. It is painless, yet produces dramatic visible results in just days with little downtime. Right after the peel, the skin will appear slightly tan or red immediately after the peel. On the first and second days, the skin may feel slightly tight and any pigmented areas might appear slightly darker. Around the third day, you should begin to peel. The first signs of peeling usually begin around the mouth; however, the entire treated area will quickly follow. With the use of the included Vi Derm moisturizer, clients can maintain their usual daily routine. By the sixth or seventh day, the peeling should be complete and the results are dramatic! An Omega Peel (included in the Vi Peel) provides the final, perfecting touch. More things you should know. You should be prepared to peel for up to seven days total, with extensive peeling during two or three of those days. The Vi Precision Peel has no downtime for healing but the peeling will be much more extensive than ordinary chemical peels. The amount of peeling varies between individuals. Clients who use Retin A tend to see much more flaking while clients who regularly exfoliate may experience only modest flaking. The moisturizer included with the peel will hide most of the effects but we recommend scheduling this peel at least ten days prior to any social events that would be impacted by flaking and peeling skin. This treatment should not be performed if you have taken Accutane within the past twelve months or if you are sensitive or allergic to aspirin. You should avoid the use of Retin A, Renova, or glycolic acids within one day before or after the treatment. How much time is required to administer the treatment? 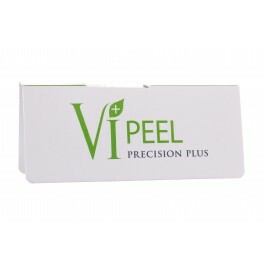 What is a Vi Precision Plus Peel? More things to know about the treatment.